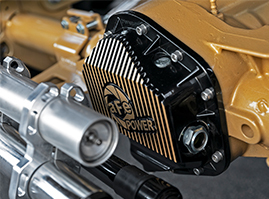 Whether you are going for a murdered-out look on your off-road focused Jeep, or throwing some striking gold accents on your lifted show truck, aFe’s diff covers not only allow for ample diversification from the crowd – but also provide all the protection and benefits that you would want from an aftermarket cover. 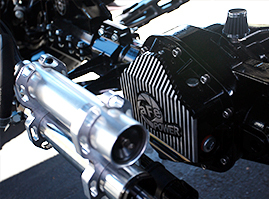 Each one provides more fluid capacity over stock as well as a magnetic drain plug while a majority of them feature both internal and external cooling fins. 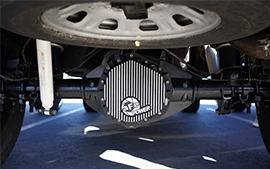 To learn more and to see what we offer for your vehicle, check out aFe POWER's differential covers HERE. 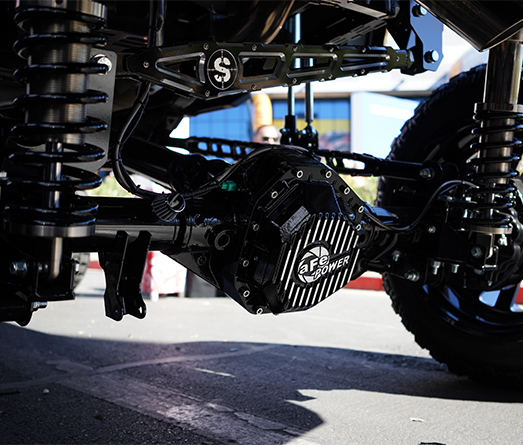 Same platform, same product, different taste – which one would you choose? 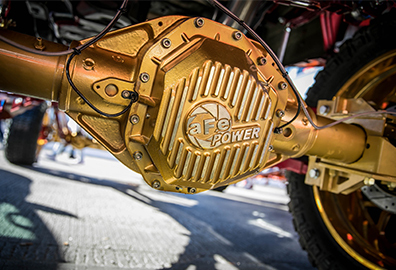 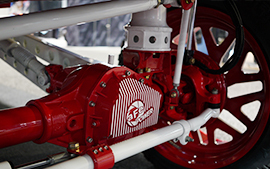 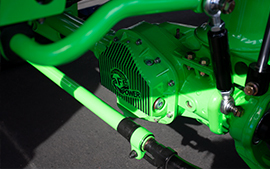 This year, as soon as the aFe POWER team made our way outside, we were happy to see an impressive array of custom builds sporting our differential covers. 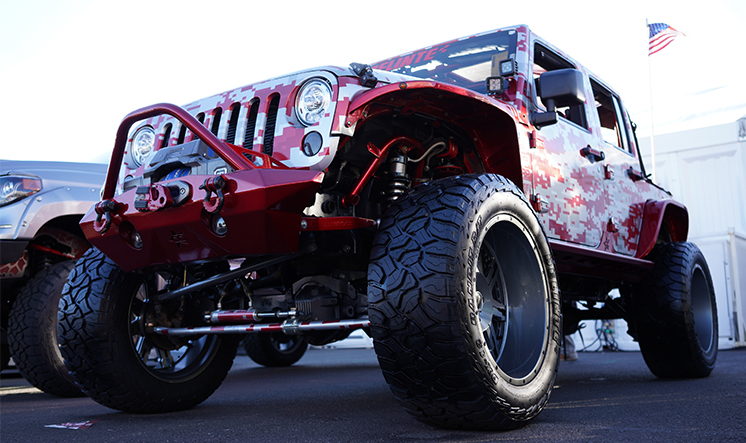 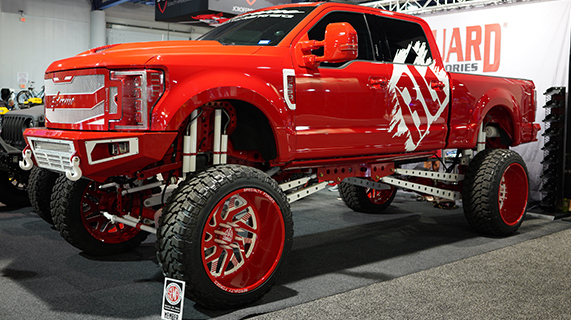 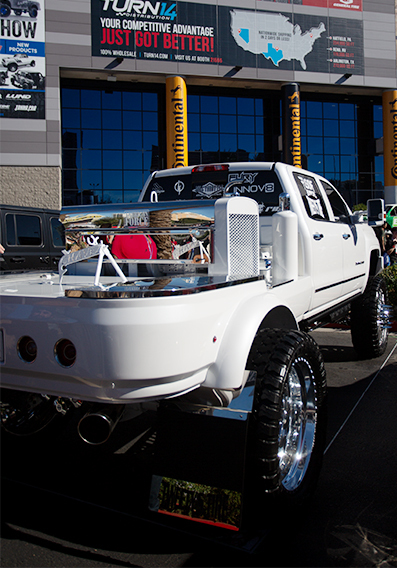 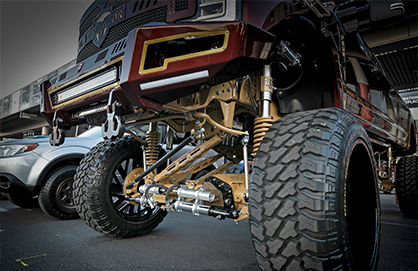 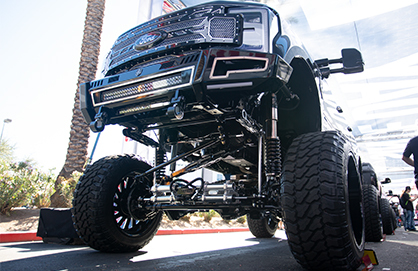 Just outside the South Hall, the SEMA Show hosts the famous "Ford Out Front" exhibition, along with several extreme, off-road builds and over-the top lifted trucks. 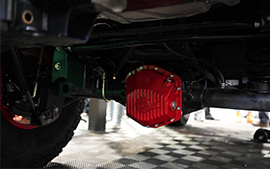 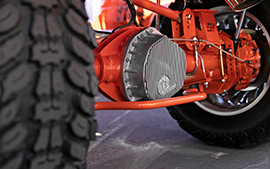 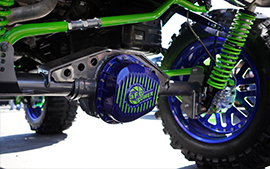 With already finished powder-coated color options, as well as a raw aluminum finish available, our differential covers have proven to be extremely popular in the aftermarket customization world. 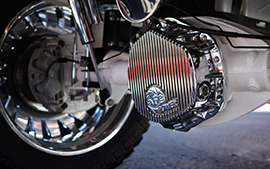 Our Street Series diff covers are offered in a raw aluminum finish and are ideal for those looking for a true custom look. 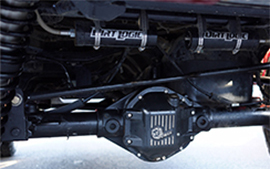 The Pro Series, on the other hand, come with black powder-coat finish for a durable, traditional look. 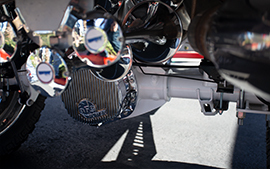 All of the top-of-the-line Pro Series incorporate a convenient oil level sight glass as well as a premium magnetic deep reach fill plug. 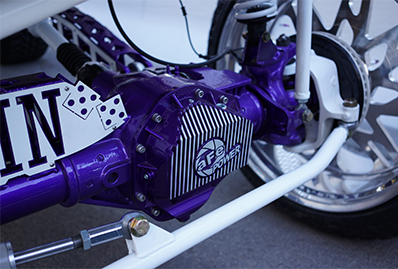 For optimum form and function, we have you covered…get it? 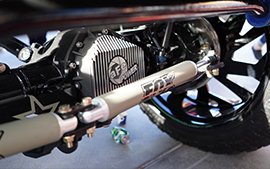 This entry was posted in aFe News and tagged Pro Series, Street Series, SEMA 2018, Differential covers, aFe Power on November 12, 2018 by Jenna Schiebe.